The competition lasted 17 nail-biting rounds, with a total of 134 words spelled. Kayla Nguyen from Juliette Low School of the Arts received top honors as this year’s first place champion. 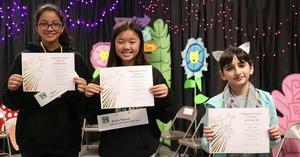 Maanya Arora, from Juliette Low, took second place, while Alexa Sano, from Mattie Lou Maxwell, took third place. Both Kayla and Maanya will represent the Magnolia School District at the Orange County Spelling Bee on February 25. The three top spellers will be recognized at an upcoming Magnolia School Board meeting. 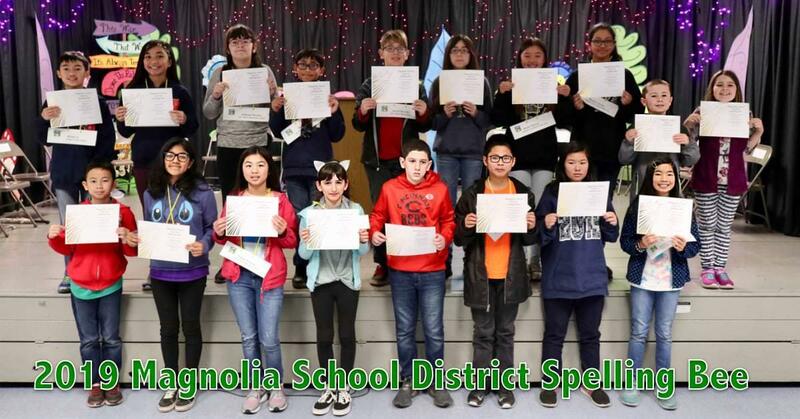 The Magnolia School District is very proud of every student who represented his/her school at this exciting event!